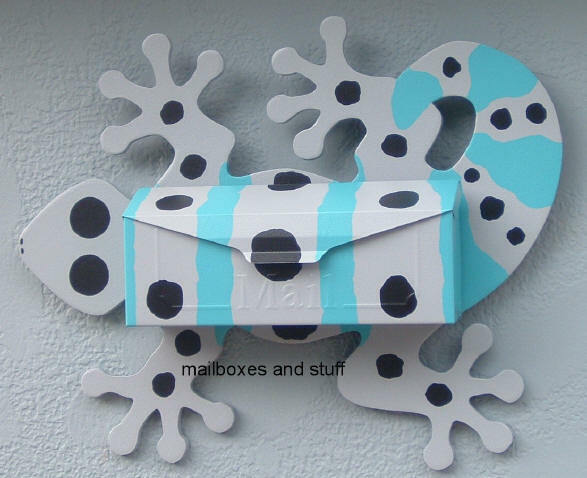 Got my Gecko mailbox last week and finished mounting it this morning. 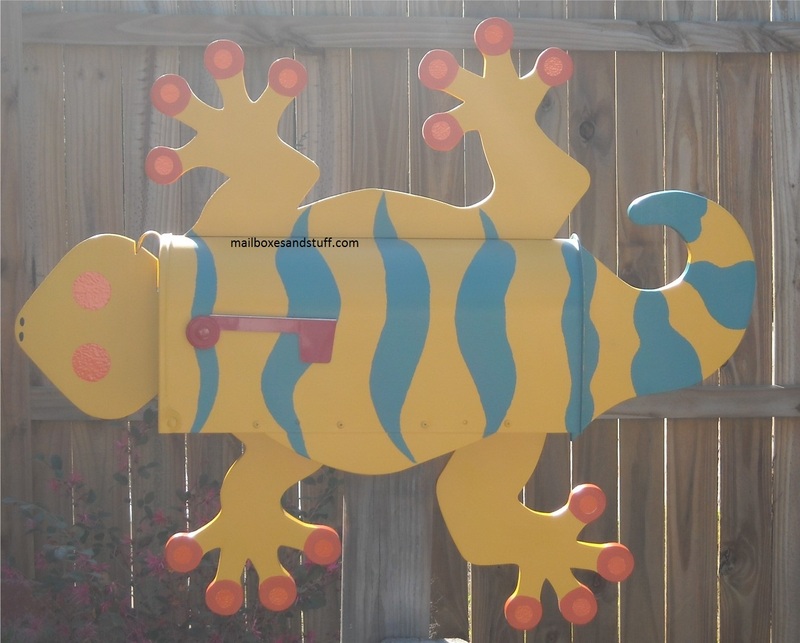 Its been only a few hours since I mounted it but I have already received a number of compliments, my mail lady loves it and this is what she had to say; I quote "It's the best one she has on her route". 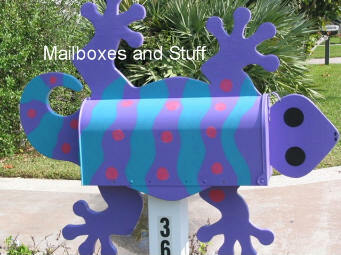 You get to chose the colors (3 ) ~ Truly a Work of Art! 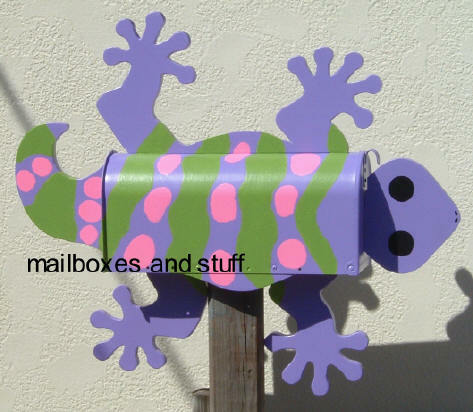 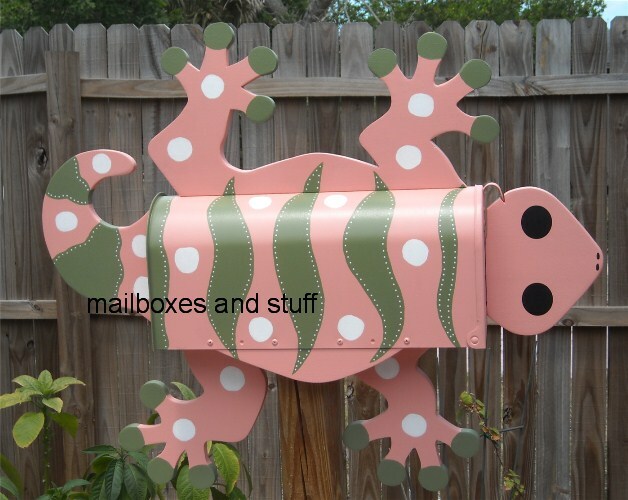 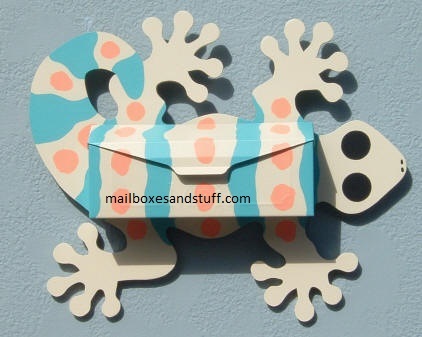 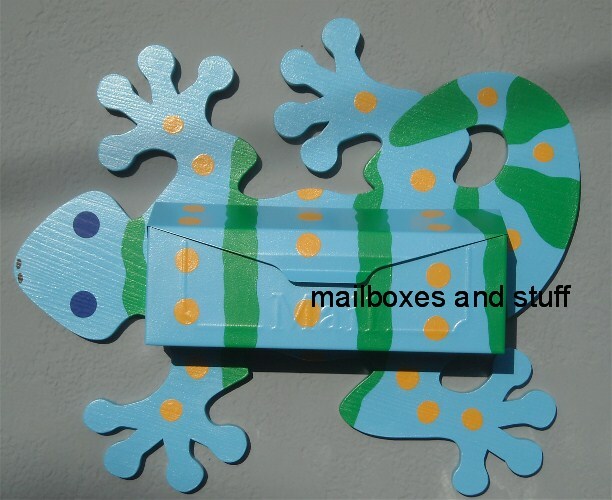 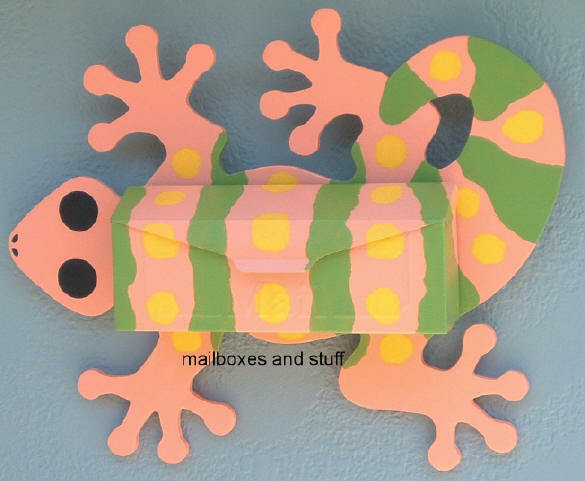 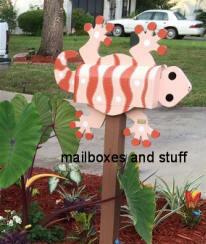 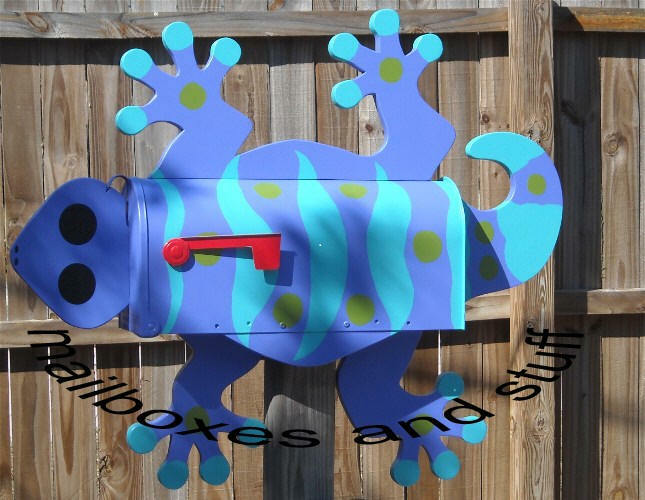 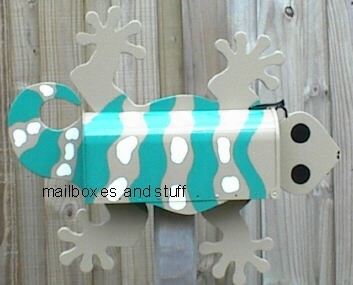 These Very Cool Gecko Mailboxes will look GREAT anywhere! 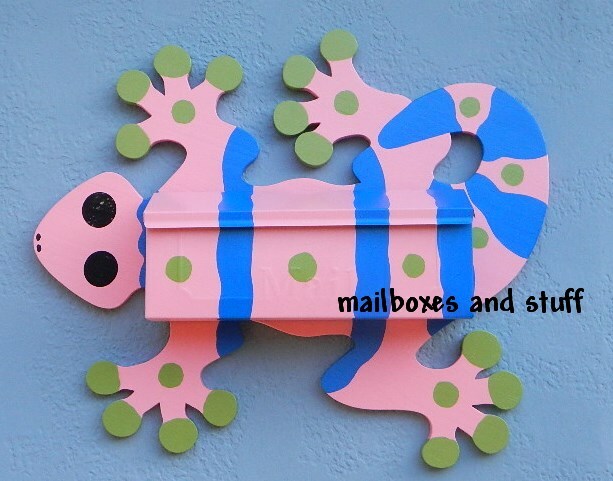 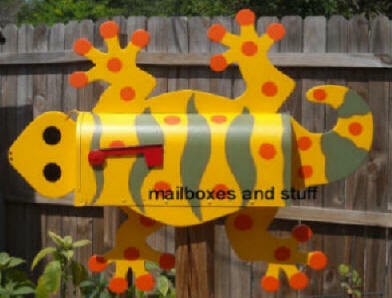 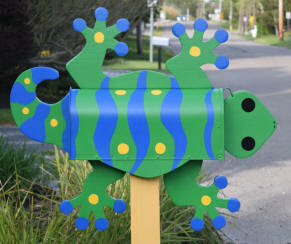 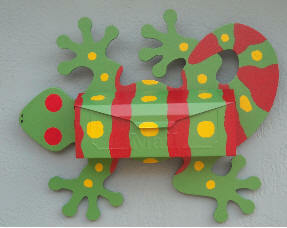 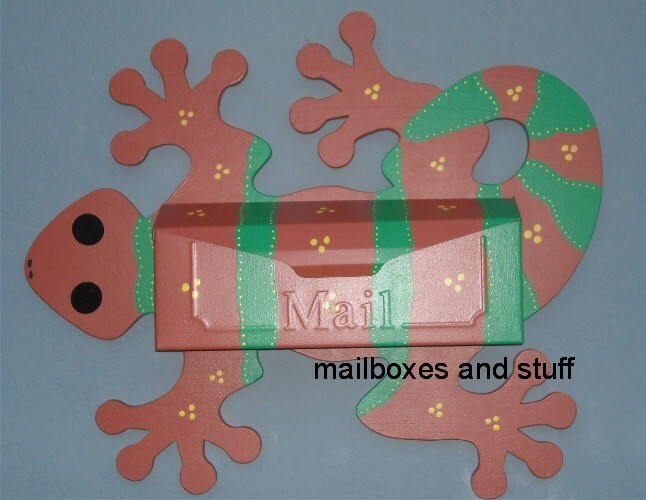 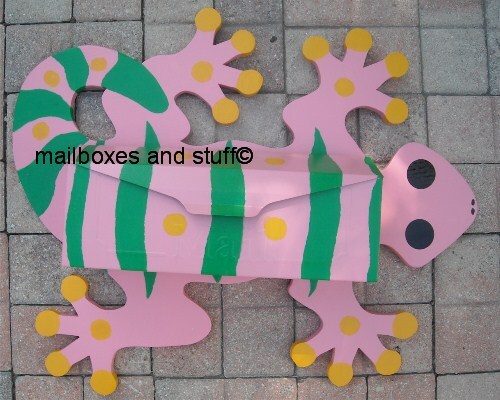 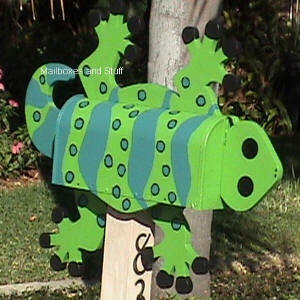 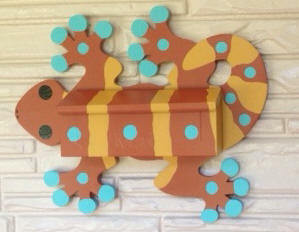 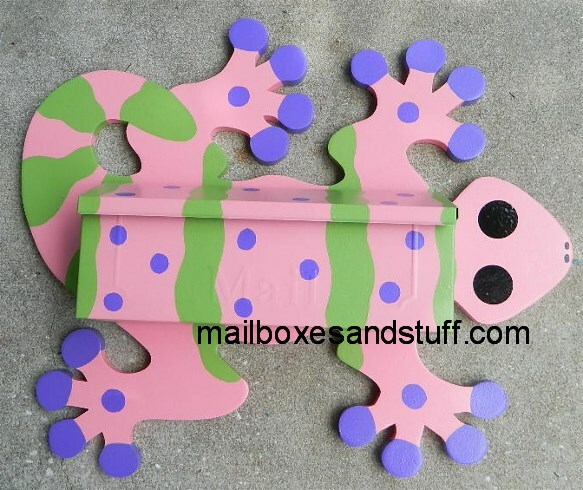 Spruce up the front of your home or business with a Custom hand painted Novelty Gecko Mailbox! 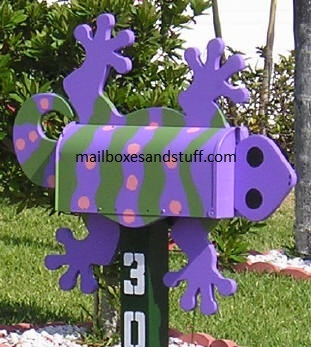 Custom Painted in YOUR CHOICE of ANY 3 COLORS ... just type in the 3 colors you want your Gecko Mailbox painted in the special request box at the end of the form!